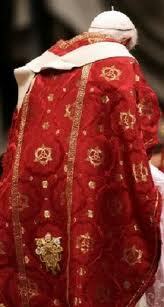 In this video we will see how this Insitution was created by the Jesuits. This is the testimony of an Ex-Jesuit Priest who was under the Jesuit Extreme Oath of Induction when he learned the origins of Communism. 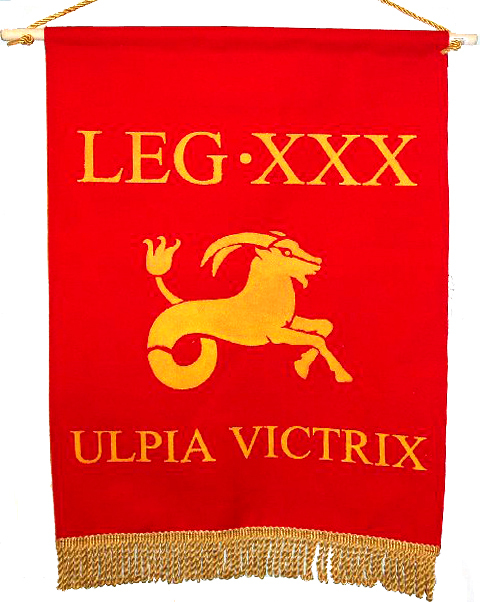 In Roman Catholic symbolism aside from Pale (Yellow) Black and White (Same colors of the four horses of the Apocalypse), Red plays a big role. Red is one of the colors of the Roman Caesars aside from Purple. The Scarlet color was used when Roman Caesars went into battle. "In Roman mythology red is associated with the god of war, Mars. A Roman general receiving a triumph had his entire body painted red in honor of his achievement." Lenin started the October Revolution. "Mars (Latin: Mārs, adjectives Martius and Martialis) was the Roman god of war and also an agricultural guardian, a combination characteristic of early Rome. He was second in importance only to Jupiter, and he was the most prominent of the military gods worshipped by the Roman legions. His festivals were held in March, the month named for him (Latin Martius), and in October, which began and ended the season for military campaigning and farming." And who does the pagan deity Mars trace his Origins from? "It is remarkable that there is a syllable with the consonant value "M*R" which is found everywhere in connection with the planet Mars, the god of Mars, and its associated emblem, the dragon. The source of all these words is to be found in the Semitic roof "marah" (M*R) which in Hebrew means bitterness as well as disobedience. From this roof is derived "marad" (M*R*D), or rebellion, which is the original both of Nimrod (the Babylonian Nin-Mir-Rud), or (N*M*R*D), as well as Marduk/Merodach (M*R*D*K). The Bible tells us that Nimrod was the founder of Ninevah, and Nineveh's own half-legendary history ascribes that honor to one Ninur or Nimur (N*M*R). Pergamos itself became part and parcel of the Roman Empire, when Attalus III, the last of the kings, at his death, left by will all his dominions to the Roman people, B.C. 133 For some time after the kingdom of Pergamos was merged in the Roman dominions, there was no one who could set himself openly and advisedly to lay claim to all the dignity inherent in the old title of the kings of Pergamos... but when Julius Caesar, who had previously been elected Pontifex Maximus became also, as emperor, the supreme civil ruler of the Romans, then, as head of the Roman state, and as head of the Roman religion, all the powers and functions of the true legitimate Babylonian Pontiff were supremely vested in him, and he found himself in a position to assert these powers...Then, on certain occasions, in the exercise of his high pontifical office, he appeared in all the pomp of the Babylonian costume, as Belshazzar [an ancient Pontifex Maximus of Babylon himself] might nave done, in robes of scarlet, with the crosier of Nimrod in his hand, wearing the miter of Dagon and bearing the keys of Janus and Cybele. 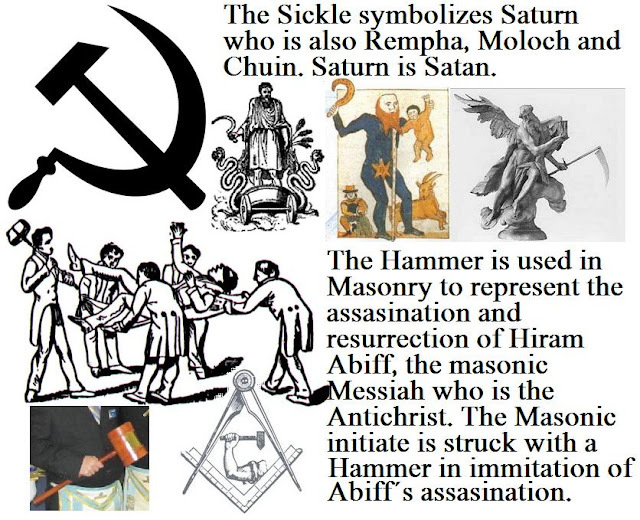 "On page 200 of Carl Liungman’s Dictionary of Symbols, we learn that the sickle represents Saturn and Chronos.Both the Greeks and Romans associated harvests with these gods, as well as death, due to the lengthy cycle of the planet’s orbit around the sun.Additionally, Saturn and Chronos are associated with sorrow and deprivation, with the separation of human beings from the gods.In the Middle Ages, this symbol would be associated with “Satan, the tester.” Researcher Michael Hoffman reminds us that Saturn is also associated with the Demiurge, the “operating engineer of the universe” and not its creator. Saturn-Chronos represents the end of the rule of the Olympians, the end of the age when Man lived in harmony with nature and the beginning of his separation and alienation from the gods through science and manipulation of the natural world." "In the case of the hammer, when candidates are initiated into the 3rd degree of Masonry they are symbolically struck in the head with a hammer in imitation of the alleged assassination and resurrection of Hiram Abiff. (The “extreme” nature of this ritual coined the common harmless phrase, “he gave him the third degree” as a description of a particularly thorough or intense investigation and questioning.) Craig Heimbichner claims that, “In the third degree, the blindfolded candidate, as ‘Hiram Abiff,’ is unexpectedly ‘slain’ (struck with a mallet on the forehead) and ‘resurrected,’ leaving the Temple of Solomon unfinished.” Here, then, is an esoteric reference to an initiation into the “resurrection” that must take place for the creation of a new consciousness, a new initiate into the New Order.In this regard, the hammer or the “molot” may very well be an indication of what is happening to all Soviet victims: they are being “struck and killed” in order to resurrect new initiates into the post-Christian New Age." "The five pointed star, or pentagram, is ancient and has a host of associations. On page 43 of Liungman’s book, he informs us that the five pointed star without intersecting lines is a derivative of the ancient pentagram – that is, a five pointed start drawn with intersecting lines.While it has had various meanings throughout the ages, it is also associated with the occult and used for sinister purposes. On page 44, Liungman indicates that during the Middle Ages the pentagram was associated with the anti-Christ.However, there are numerous other associations as well.What, then, are we to make of it? If our thesis concerning the development of occult traditions is correct, it might be helpful to consider whether the star has any associations within masonic thought. Gleamed from the writings of various occultists and freemasons such as Albert Pike, it appears that the star is associated with the star of Sirius, the so-called “dog star.” Sirius is in the constellation Canis – hence its designation as “dog star.” Its helical rising occurs in July and August, during the hottest time of the year. Our phrase “the dog days of summer” refers to this astronomical event." This Church of the Gesu altarpiece by Jesuit artist Andrea Pozzo, S.J. 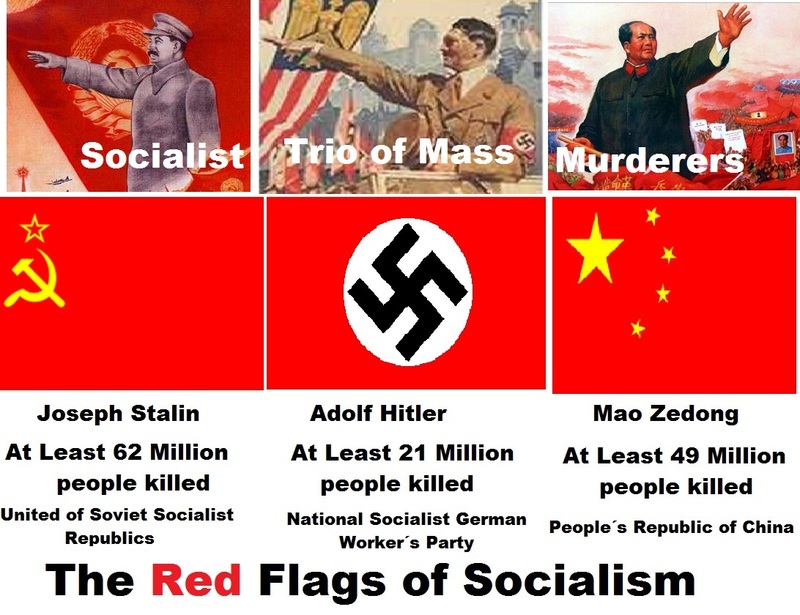 (1642-1709), featuring Ignatius Loyola with his Red Standard, and reported by an article in the June 14, 2008 New York Times, was effectively buried about 1908, shortly prior to the rise of various 20th century political movements employing this Standard of a Red Flag. "Lost Baroque Work Is a Spectacle Again"
ROME — Every afternoon at 5:30 sharp, the “ta-da” moment arrives at the Chiesa del Gesù, the mother church of the Jesuit order.As choral music fills the church, a meticulously choreographed light show begins in the left transept of the Chapel of St. Ignatius of Loyola. 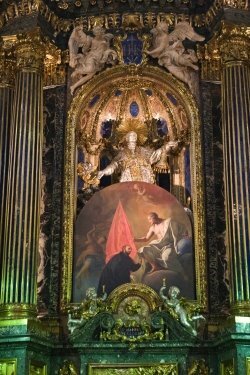 During the startling crescendo, a painted altarpiece descends slowly, exposing a deep niche in which a majestic silver statue depicts St. Ignatius, founder of the Jesuits, jetting into heaven. It is a quintessential Baroque spectacle, one that fell out of favor about a century ago. 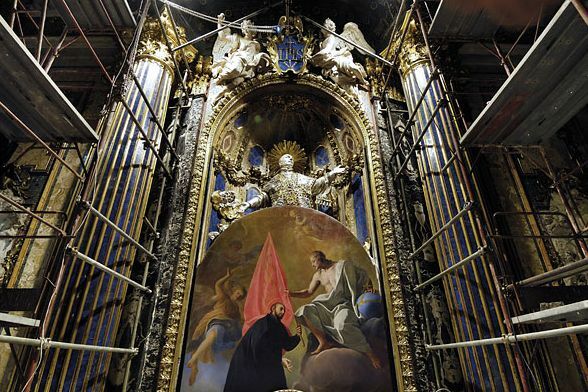 At the time, the church’s caretakers retired the canvas altarpiece, which depicts Christ presenting a royal standard to St. Ignatius, and the mechanical apparatus that lowers and raises it, so that the silver statue could remain on display. Note that this article, though reporting on the discovery of the alter painting, goes on to discuss the silver statute. “That was the taste of the time,” the Rev. Daniele Libanori, the church’s deputy rector, said of that early-20th-century decision. He is not a huge fan of the larger-than-life sculpture, which was designed around 1698 by Pierre Le Gros the Younger. (What’s on display today is actually a 19th-century stucco copy plated in silver. The silver original was melted down in 1798 during an occupation by Napoleon’s forces.) “The statue’s a little over the top, but it does make a big impression,” he said.of the larger-than-life sculpture, which was designed around 1698 by Pierre Le Gros the Younger. (What’s on display today is actually a 19th-century stucco copy plated in silver. The silver original was melted down in 1798 during an occupation by Napoleon’s forces.) “The statue’s a little over the top, but it does make a big impression,” he said." -Karl Marx, "Oulanem" (a satanic play written by Marx) Oulanem is an inversion and a Blasphemy to Emmanuel (Which means "God is with Us") one of the names of our Lord, Jesus Christ. The Sword which Marx refers to is Das Kapital, the Communist Manifesto, and the doctrine of Proletarian Revolution. The Communist Bibles. "And when he had opened the second seal, I heard the second beast say, Come and see. And there went out another horse that was red: and power was given to him that sat thereon to take peace from the earth, and that they should kill one another: and there was given unto him a great sword."